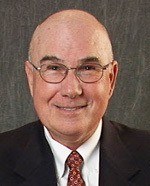 Manny Fernandez, D.D.S. is proud to be a trusted Woodland Hills area Zoom!® teeth whitening dentist. Our patients love the short amount of time the tooth whitening treatment takes as much as they love the results. Dr. Fernandez has extensive experience providing gingivitis treatments in the Woodland Hills area. 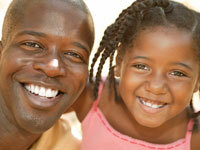 Bleeding gums can lead to more serious health problems if not treated promptly. If you're concerned about dental treatments, soothing nitrous oxide (laughing gas) is one of a number of options available at Manny Fernandez, D.D.S to help reduce your dental anxiety. Woodland Hills, California, area dentist, Dr. Fernandez, wants your dental visit to be as comfortable as possible. At Manny Fernandez, D.D.S we offer a range of treatment options for sleep apnea. If snoring or obstructed breathing is a problem, call Dr. Fernandez today to learn how we can help you breathe easier. Manny Fernandez, D.D.S is a trusted Woodland Hills area dental implants practice providing natural-looking, comfortable tooth replacement. We make it our mission to use a gentle touch during the process. The times are trying enough without having to worry about a visit to the dentist. There is much talk about the transmission of disease in any given medical environment. Well, we're here to say dentistry in our practice still is a safe and healthful experience. And it's not just a matter of trust. It took the AIDS epidemic to bring it to the public eye. But we've been guarding against it at our dental office since the day we opened our doors. I'm talking about communicable disease. AIDS is the one you hear most about, but there are others. A quiet new killer (HCV, hepatitis C virus) currently infects about four million Americans who will never be able to rid themselves of it. Here at the office we're also aware that hepatitis B, tuberculosis, influenza-even the common cold-are communicable. The good news is that the same strict standards of asepsis (cleanliness) we use against one disease also defend us against all the others. You may not be aware of all we do to ensure your protection from cross-communicated viruses during your dental care. In fact, it's a large part of our day, and we're committed to the task. We use disposable items wherever we can. Every surface in the operatory is secured against airborne bacteria with physical barriers. Our sterilization procedures are complex, monitored by an outside agency, and, not incidentally, much more than OSHA, the American Dental Association, the Centers for Disease Control, and local agencies require. Metal instruments are cleansed in an ultrasonic bath before autoclaving in chemical pressurized heat. Hand pieces, for instance (you know them as drills), take an hour's preparation-heat-treated then cooled-for each patient. We disinfect everything in sight. All this costs, but it's worth it. We wouldn't be here if we didn't care about you, your health, and your good looks. We want you to feel comfortable, all the time. Please ask about our sterilization program and we'll be more than happy to show you what we're doing. You know we care about open communication in our dental office. This letter is another way we hope to show it. The proverbial way of referring to older people as being "long on the tooth" suggests that it is predetermined that as we get older our teeth get "longer" or "no longer." This is not true. 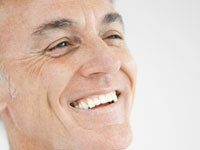 Periodontal disease, plaque and loss of teeth is not an inevitable aspect of aging. Loss of attachment or bone support around a tooth is the result of a bacterial infection. What is true is that as we get older, we have more exposures to these infectious organisms, and more probability of being infected and developing periodontal disease. Half of the people over 55 have periodontal disease. Systemic diseases: Certain systemic diseases such as diabetes may decrease the body's ability to fight infection and can result in more severe periodontal disease. Osteoporosis also can increase the amount and rate of bone loss around teeth. Systemic illnesses will affect periodontal disease if it is a pre-existing condition. To reduce the effects of systemic diseases on the oral cavity, maintain meticulous plaque control and visit your dental care provider routinely for examinations and professional cleanings. Medications: Heart medications can have a direct effect on the gums by creating an exaggerated response to plaque and resulting in gum overgrowth. Antidepressants may create dry mouth and reduce the saliva's ability to neutralize plaque. Immunosuppressants and other disease-fighting medications may reduce the body's ability to combat infection, increasing the risk for periodontal disease. The dental care provider needs to be aware of any medications you may be taking and you need to maintain meticulous plaque control and visit your dental care provider routinely for examinations and professional cleanings. Dry mouth: Lack of saliva can result from the use of certain medications or as a result of illness. If there is not enough saliva available to neutralize plaque it can result in more cavities and periodontal disease. Also, dry mouth, or xerostomia, can make dentures more difficult to wear and may also complicate eating, speaking, or swallowing of food. Oral rinses or artificial saliva can be very helpful with these problems. Frequent sips of water or eating candy may be helpful as long as it doesn't contain sugar. Fluoride rinses and gels are helpful in reducing or preventing the cavities that can be caused by having a dry mouth. Dexterity problems: Physical disabilities can reduce dexterity and the ability to remove plaque on a daily basis. Poor oral hygiene can increase the risk for cavities and periodontal disease. Electric toothbrushes and floss holders are helpful in improving plaque control. Frequent professional cleanings combined with oral anti-microbial or fluoride rinses also may be helpful in reducing the incidence of cavities and periodontal disease. Estrogen deficiency: Older women may have some special concerns in relation to periodontal disease. Scientific studies have suggested that the estrogen deficiency that occurs after menopause may increase the risk for severe periodontal disease and tooth loss. Estrogen replacement therapy may reverse these effects. It is important to keep teeth as we age because every tooth has an important function in chewing and speaking. They affect our appearance and self esteem. Having dentures or loose or missing teeth can restrict our diets, resulting in poor nutrition and systemic complications. With the advances in modern dentistry and with current prevention and treatment techniques, we must count on keeping our teeth for a lifetime -- no matter how "long" that may be!